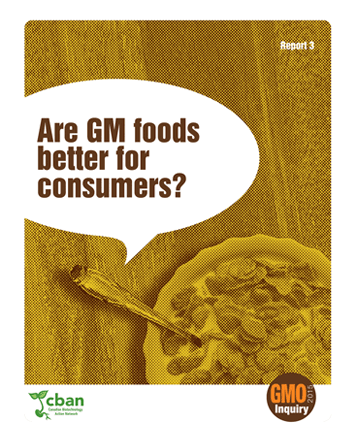 This third report in the GMO Inquiry 2015 tackles consumer concerns about genetically modified organisms (GMOs). Are there consumer benefits to genetically modified foods? Are they safe to eat? Why aren’t they labeled? Genetically modified foods were allowed onto grocery store shelves in Canada without labels, without meaningful public debate, without government testing, and without long-term animal feeding studies. What science has been done on GM food safety? What evidence has the Canadian government used to approve GM foods? Are there benefits to consumers? Why aren’t GM foods labelled?